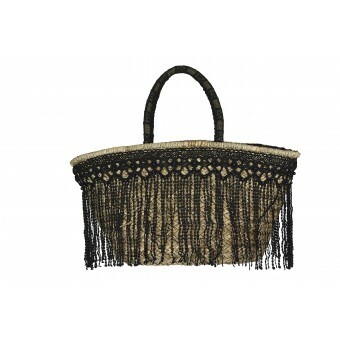 Metallic Straw Bag. 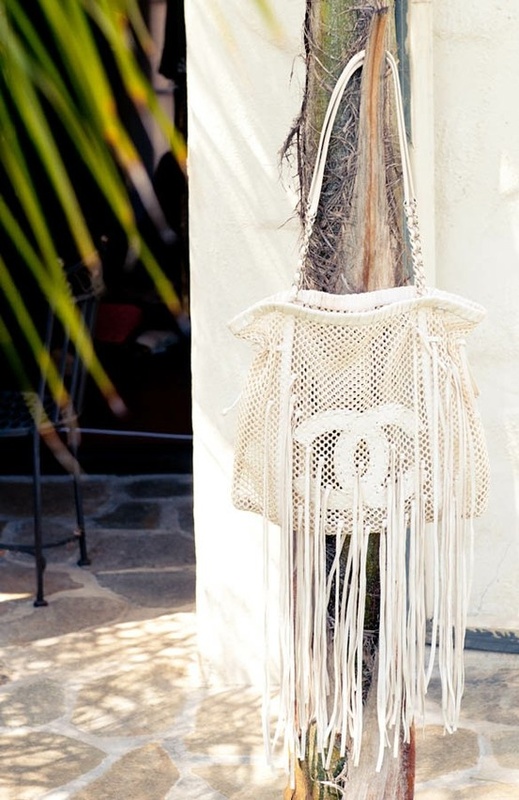 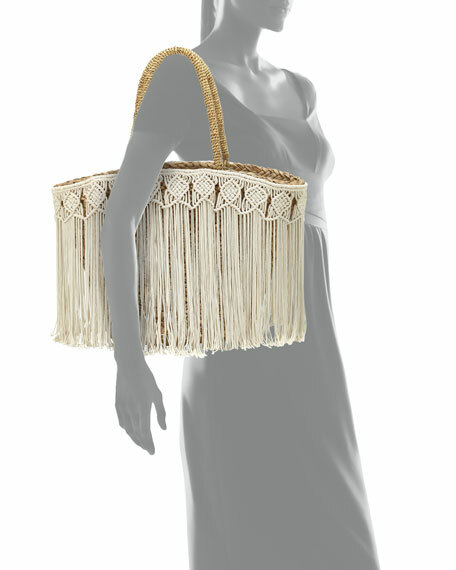 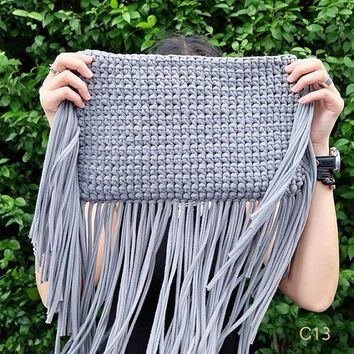 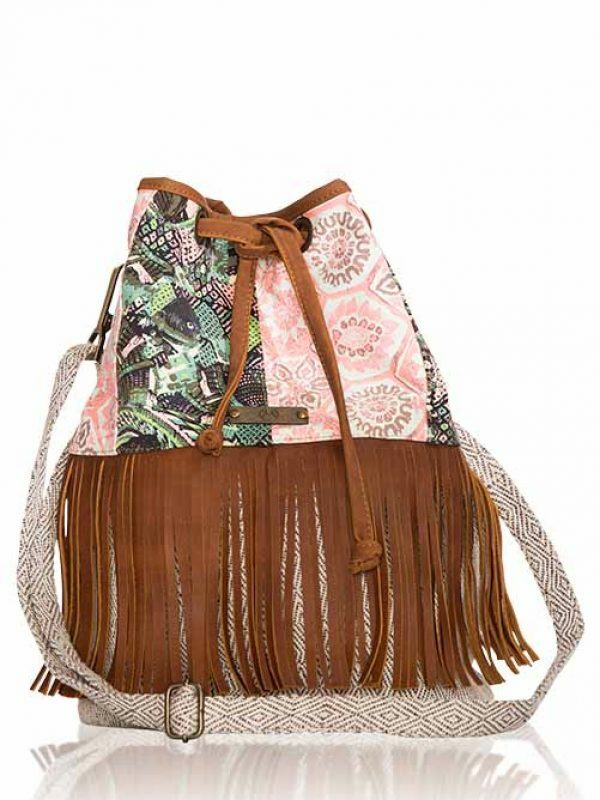 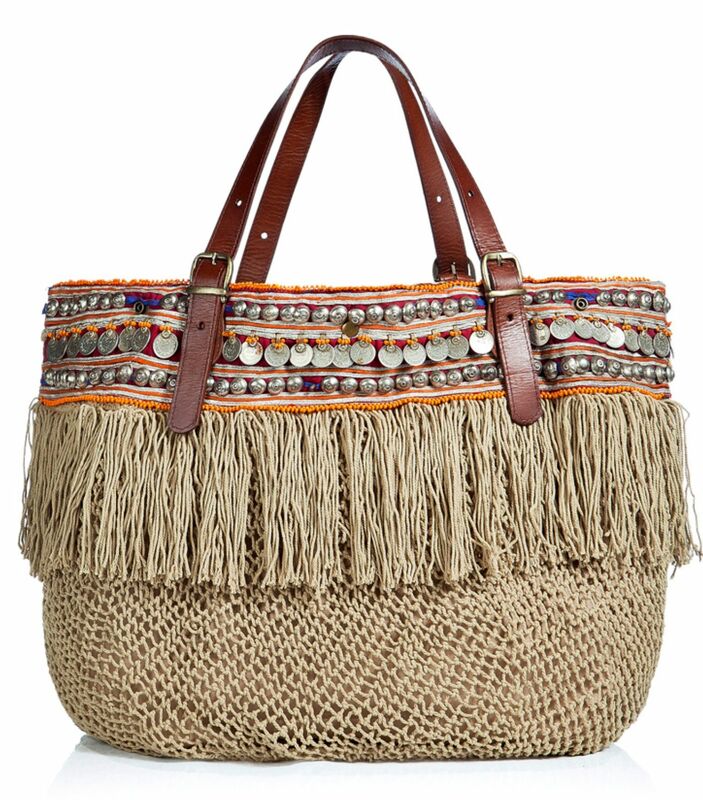 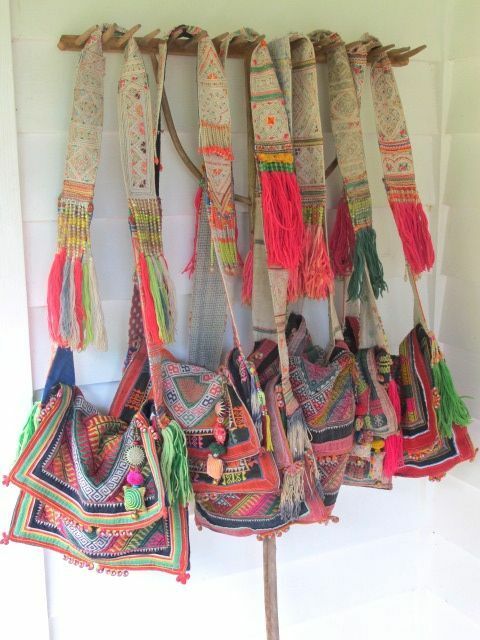 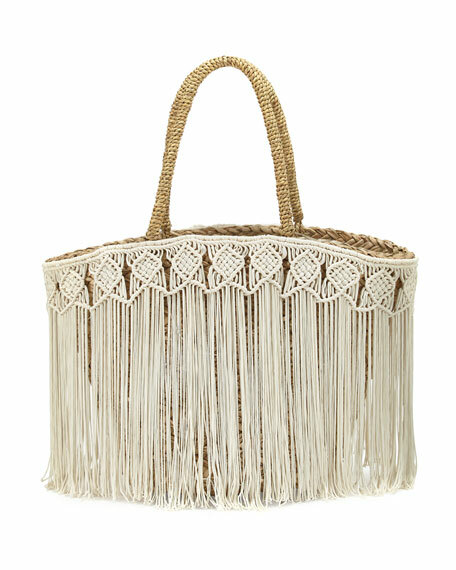 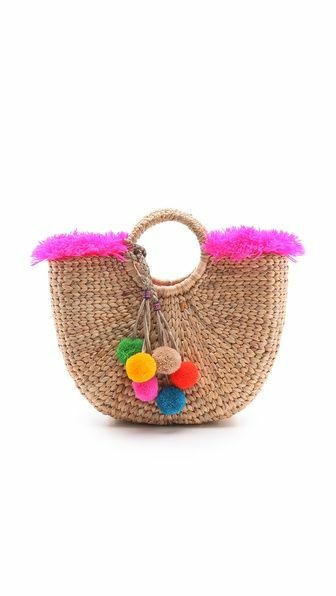 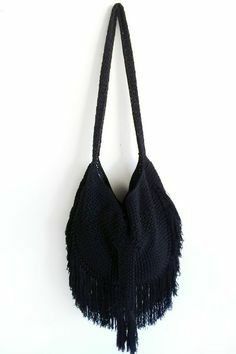 Straw Fringe Bag. 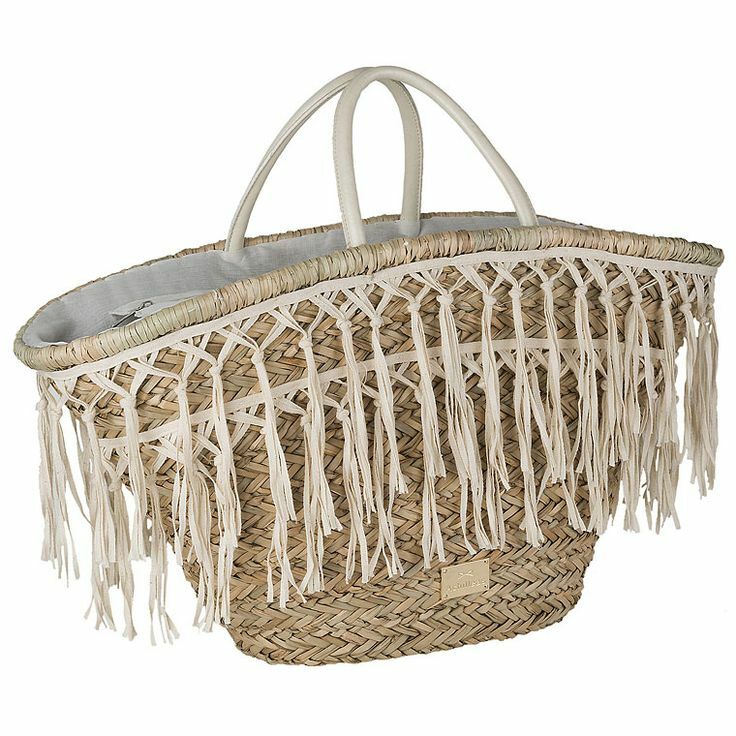 Woven Basket Tote. 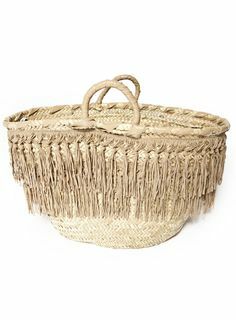 Small Straw Tote. 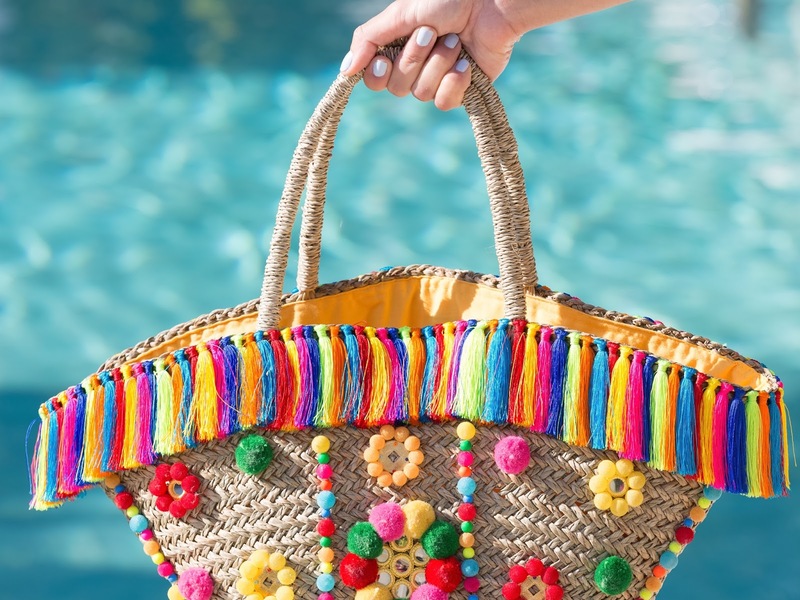 Beach Bag. 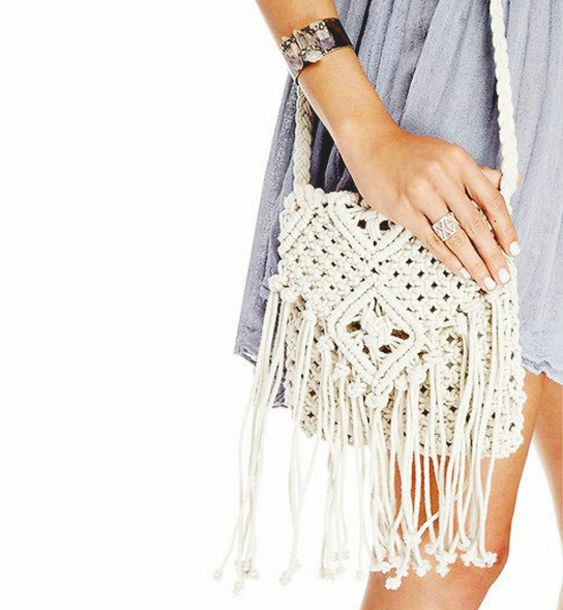 Fringed & beaded bohemian goodness! 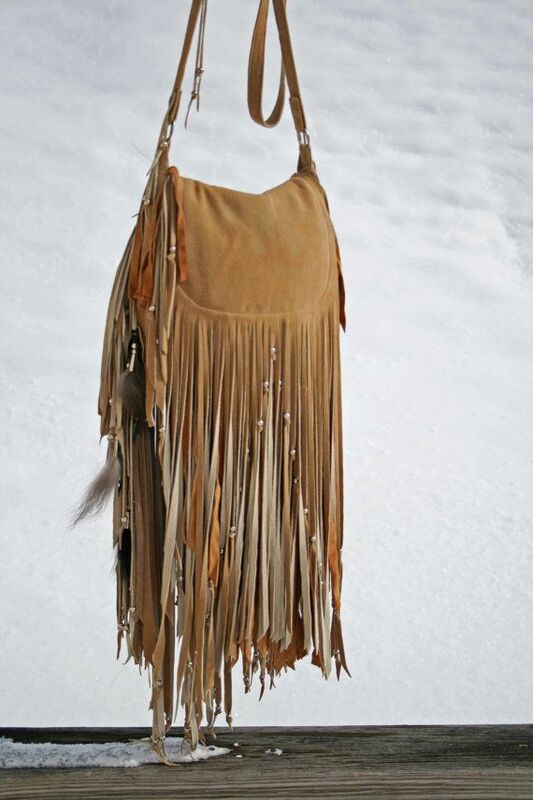 Beach Sand Ombre’ Deerskin Fringe Bag by confettijulie on Etsy, $299 .